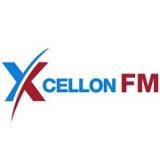 Xcellon FM: How Document Management System is Beneficial? Any Organization largely depends on information pertaining to business. But can your employees quickly find information they require whenever they need it? In the majority of companies, documents are kept in a number of places such as store rooms, on shared networks or Individual PC hard drives, CDs or Desk drawers. The people who require accessing these documents are usually situated in diverse locations as well. Document Management System has emerged as an excellent solution for increasing number of businesses - large and small. The proper Document management system will assist your office go paperless which frees up valuable office area which can be put to better utilize as work space for your staff members. Additionally, document management software tends to make your office a lot more eco-friendly. Document management is an organizational method; it is a technology-based means of storing documents. Documents are kept within a storage space referred to as repository that simplifies managing as well as retrieving the files whenever required. Considering that organizations have different requirements, systems are usually custom made. Document management generally starts with the electronic document normally we utilize a scanner to convert paper documents into digitized images. When all files are electronic, it happens to be more convenient to organize the information. Additionally, wherein feasible, all new documents are created and saved in a permanent digitized format. Whenever you ought to retrieve a document from the system, you carry out a search by entering the document's name, the system processes the request and the information is retrieved. Document management systems incorporate security measures to make sure that only authorized users get access. These measures determine which documents specific people will be able to read, and what actions or changes they can make. An efficient document management system facilitates companies by making it easier to file, organize, share, retrieve, as well as to secure information. Employees can also be a lot more productive as they do not need to waste time searching for business critical information. An effective document management system additionally facilitates collaboration, decision, as well as the potential to build upon the work of others. With a document management system integrated, several people, even those working from home offices or the field, can access as well as work on files simultaneously. Query reconciliation as well as solution is easier, Customer Application Forms documents could be stored for a long period of time without any damages, and Documents cannot get misplaced or duplicated. Enhanced customer support is yet another significant intangible benefit. Files are at the fingertips of all workforce so that client queries could be answered more rapidly and effectively. Document digitization aids companies as well as governmental organizations to process data conveniently, manual data entry is slow and errors can occur while entering data. Duplication is prevented as well as data could be verified quite easily. Additionally, Companies saves cost in printing as well as copying expenses as well as there is reduced need for onsite as well as offsite file storage space.